We have worked with numerous webhosting companies, but the only one we recommend is Liquidweb. When Liquidweb says they offer "Heroic Support" they are not kidding. Not only do they answer support requests in the most timely manner, they go above and beyond to help with any request we have made of them. 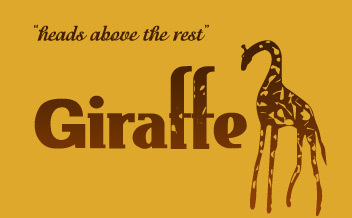 If your website is hosted with Giraffe Web, we have your website on our managed VPS. Only our clients. We do not host any other websites unless they are a client of Giraffe Web's website development community. If you would rather manager your own webhosting, or you just want to purchase webhosting yourself and do not need Giraffe Web's excellent WordPress, Website or SEO services, please click the banner to right to sign up with Liquidweb. You will not be disappointed. Tell them Giraffe Web Development sent you!